Just a reminder that the Historical Society closes to the public for the entire month of August. The Archives Center and Research Library’s last day for researchers before the break will be Wednesday July 26, between 9:30-11:30 am. Greenfield Hall’s last day open for tours will be Monday July 31, between 1-4 pm. We’ll see you in September! In observance of the Fourth of July, the Historical Society will be closed Saturday July 1 through Tuesday July 4. We will reopen on Wednesday July 5. Since we’ll be missing our usual “First Sunday” hours in July, please feel free to call or email the office or the Archives Center to arrange an appointment for another time to visit. 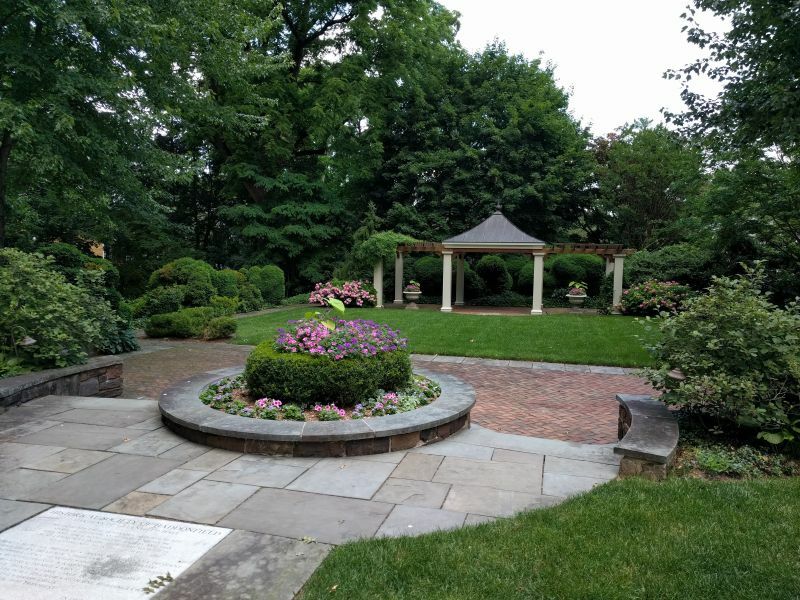 Fortunately, our beautiful gardens are always open! 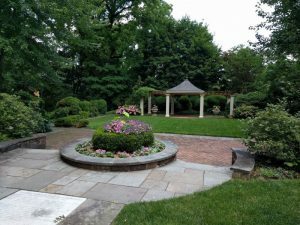 If you haven’t already done so, please take a minute to renew your Historical Society of Haddonfield membership today. You can send in your check or click on the PayPal link in the right margin to renew today. As always, your membership has enabled us to accomplish so much this year. 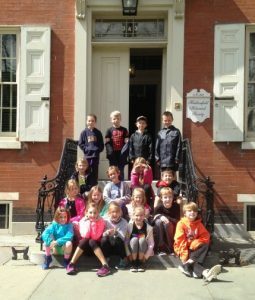 Thanks to your support, we have been able to continue our work with local students and educators, including tours for both second- and third-graders at local schools. We also mentored more than 80 students from Haddonfield Memorial High School working with primary source materials in our Archives Center. 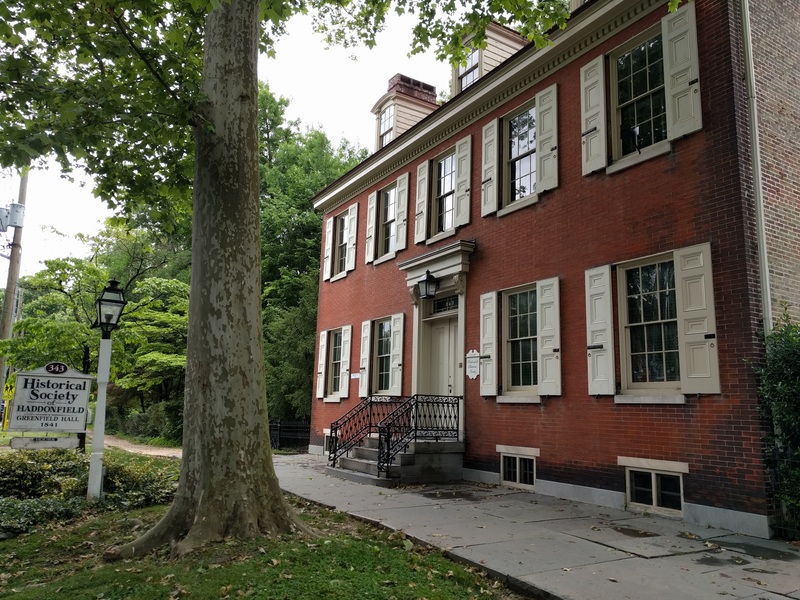 We completed repairs and improvements to the Samuel Mickle House, the oldest frame structure in Camden County. We also invested in new tools for preserving our museum collections, and put more objects on display in Greenfield Hall. And we continue to reach out to new audiences with our public programs, which include free-to-members lectures, and our book club. We have even bigger plans for next year and need your continued support. Please consider renewing at $35, $55, or more today. You can mail in a check, or donate via PayPal (just note in the “special instructions” that this is for your membership). The Historical Society will be closed on Monday May 29, 2017 in observance of Memorial Day. Please contact us at 856-429-7375 if you’d like to schedule another time for a visit. We’ll be open for our usual First Sunday hours on Sunday June 4, 2017, from 1-3 pm. 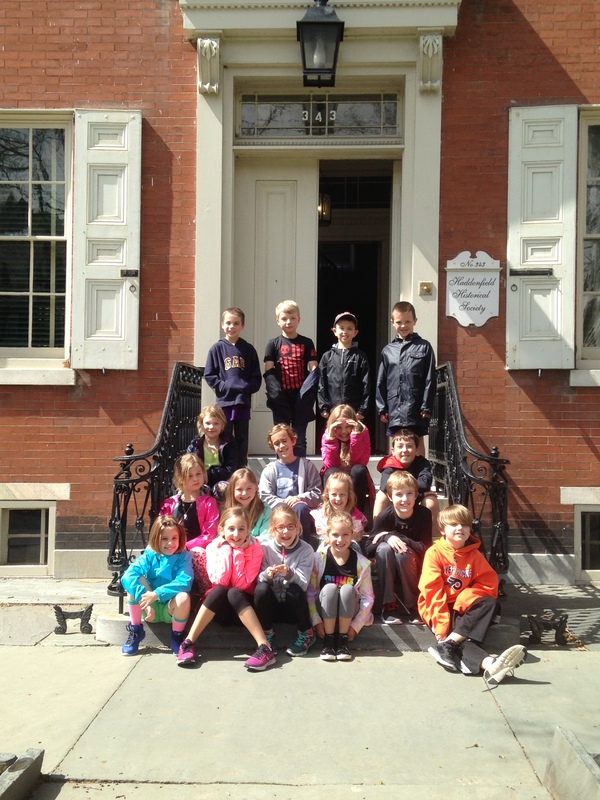 Local students pose after a class visit to Greenfield Hall. 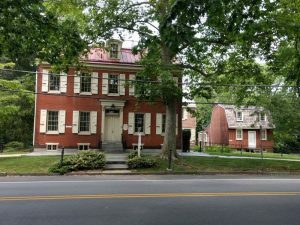 The Historical Society of Haddonfield has been awarded $4,450 in general operating support from the Camden County Cultural and Heritage Commission at Camden County College. The Commission is the officially designated county history agency of the New Jersey Historical Commission. 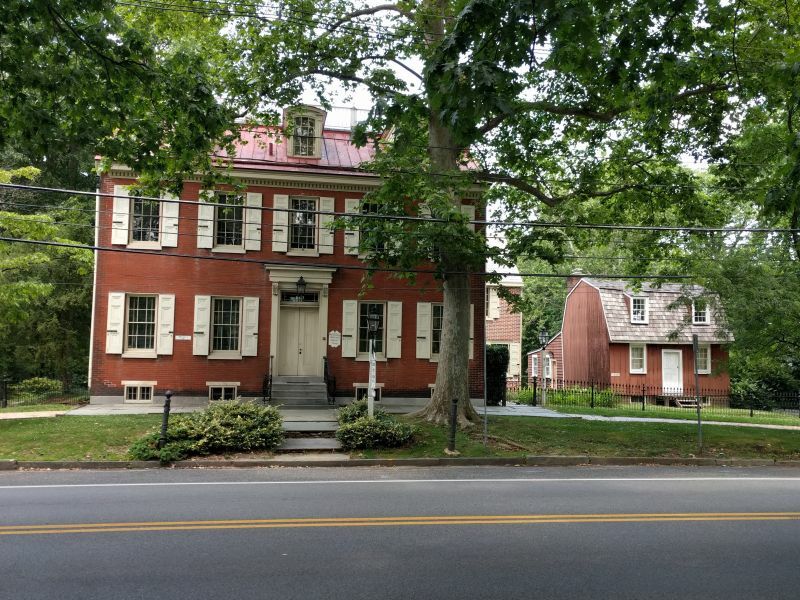 The new grant award will strengthen the Historical Society’s work to preserve, study and share the history of Haddonfield and its environs. The Society was one of two institutions in the county to receive funding.